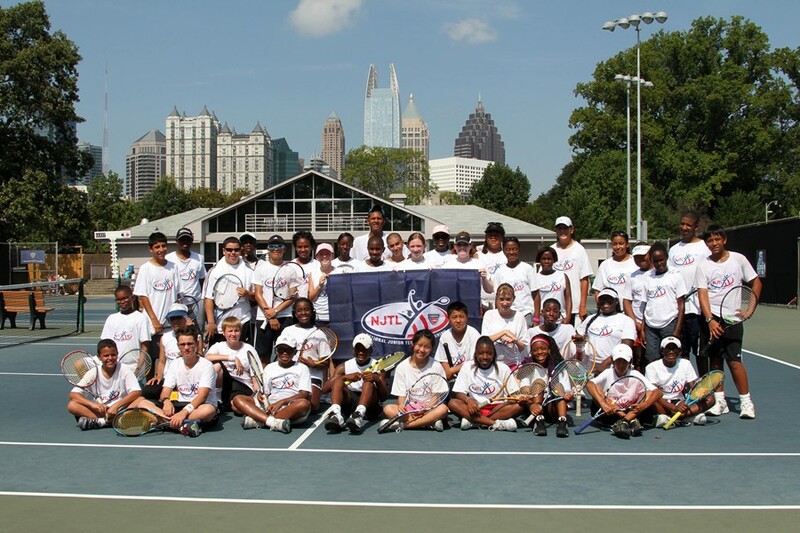 The 2010 National Junior Tennis and Learning (NJTL) Tennis Leadership Camp is being held in Atlanta, GA from July 19-25 with young tennis players from all over the country. A few of them are sharing their experiences in blogs for USTA.com. Campers at the NJTL Tennis Leadership Camp in Atlanta, GA. I want to use my sphere of influence to be more of a leader in my community and I want to be able to set an example for others to follow. Also I want to have a better attitude towards myself and others because 70 percent of it is not verbal. I wan to be able to have more confidence in myself and not be afraid to take a big step into being a leader. I hope I will be able to become more of a leader each and every day. To have a good sphere of influence you have to always make an effort. You must always show that you are following and taking in what people are saying by doing some of the things they talk about. To do that, show good body language and have a positive attitude towards what you are doing. Today, the NJTL kids started off the day with two hours of tennis practice. We trained with Erica Perkins and Amy Bryant. Then we took a charter bus to Books For Africa where we teamed up with Usher’s New Look Leadership Academy campers. Everyone was divided into groups to sort boxes of new and used books. One group even emptied a whole box. We ended our volunteer work with a picture and ice cream. I personally loved all the tennis drills that were provided by Amy and Erica. I liked the volunteer work so much I only took two breaks the whole time! Tonight, the players from the NJTL camp got to go see a professional tennis match between James Blake and Taylor Dent. Dent won 6-3, 3-6, 6-4. Most kids think Blake lost because his mind wasn’t in the right place. But no matter what Dent is going to the next round. After that match we got to see Andy Roddick play doubles for three games. Next we took a group picture. On our way back we saw Serena Williams’ 2004 quarterfinals match against Jennifer Capriati. All of the kids had a blast!